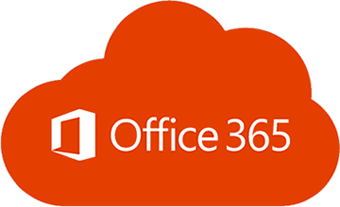 Microsoft Office 365 is the dominant choice cloud-based email for many organizations, because of the productivity packages that reduce operations and management, but it carries serious security challenges. Like all converged solutions, these platforms lack the depth only achieved by specific dedicated solutions, specifically in email security. There is little or no options for customization and for management of security and control components in this Office 365 platform. If you are using or considering to move to the cloud and Office 365, you must upgrade your email security level to protect your email, against today’s advanced email threats. WITH MPS TO PROTECT OFFICE 365? to upgrade your email security level from today’s advanced email threats. AnubisNetworks’ security ecosystem permanently monitors the world for Botnets, IP Reputation, Email Phishing and Malware Campaigns, and communicates with all MPS edge filters, for real-time proactive malware prevention. By ensuring only legitimate email is received and delivered, maintaining your network reputation, and by setting Anti-Botnet, Email Routing and Control features. DLP (Data Leakage Protection), Business Email Compromise detection, Quota Management, Rate control, Email Validation, Transport Encryption and many other features are available per user and per scope, taking this platform far beyond Email Security. providing this solution with focused real-time security and it’s so simple to integrate.